Random spontaneous research of the morning - staring out the window at the finches that keep hopping along the sill and pecking at the window right in front of me, i started day dreaming about bird feeder designs, and as a result started hunting down unique bird feeders on NOTCOT.org - which naturally lead me to scouring the ends of the internet to see what else was out there. 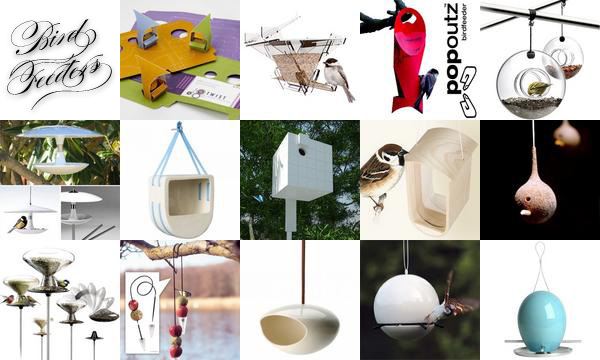 Here are 14 of the coolest things i found that don’t meet your standard/gawdy options… also i’m kind of wondering whether a bird feeder could be a fun next project for NOTConcept? p.s. like all roundups, click the images to find out more!